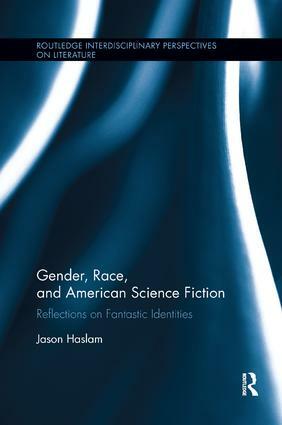 This book focuses on the interplay of gender, race, and their representation in American science fiction, from the nineteenth-century through to the twenty-first, and across a number of forms including literature and film. Haslam explores the reasons why SF provides such a rich medium for both the preservation of and challenges to dominant mythologies of gender and race. Defining SF linguistically and culturally, the study argues that this mode is not only able to illuminate the cultural and social histories of gender and race, but so too can it intervene in those histories, and highlight the ruptures present within them. The volume moves between material history and the linguistic nature of SF fantasies, from the specifics of race and gender at different points in American history to larger analyses of the socio-cultural functions of such identity categories. SF has already become central to discussions of humanity in the global capitalist age, and is increasingly the focus of feminist and critical race studies; in combining these earlier approaches, this book goes further, to demonstrate why SF must become central to our discussions of identity writ large, of the possibilities and failings of the human —past, present, and future. Focusing on the interplay of whiteness and its various 'others' in relation to competing gender constructs, chapters analyze works by Nathaniel Hawthorne, Mary E. Bradley Lane, Edgar Rice Burroughs, Philip Francis Nowlan, George S. Schuyler and the Wachowskis, Frank Herbert, William Gibson, and Octavia Butler. Academics and students interested in the study of Science Fiction, American literature and culture, and Whiteness Studies, as well as those engaged in critical gender and race studies, will find this volume invaluable.